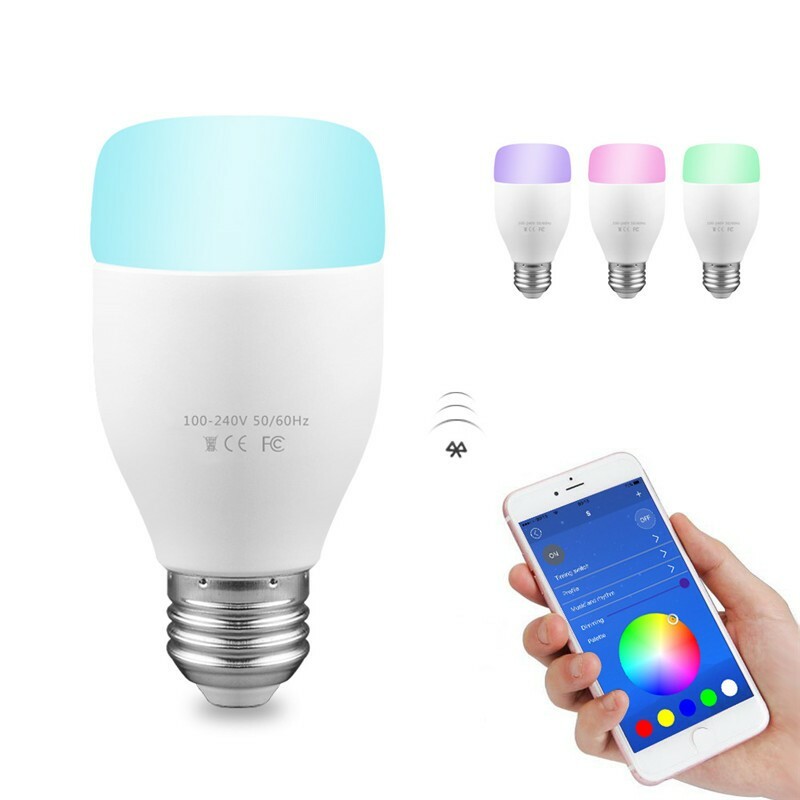 Remote control: This bulb support 2.4GHz Wi-Fi hotspot, it can be controlled by Smartphone in ANYTIME and ANYWHERE as you like. 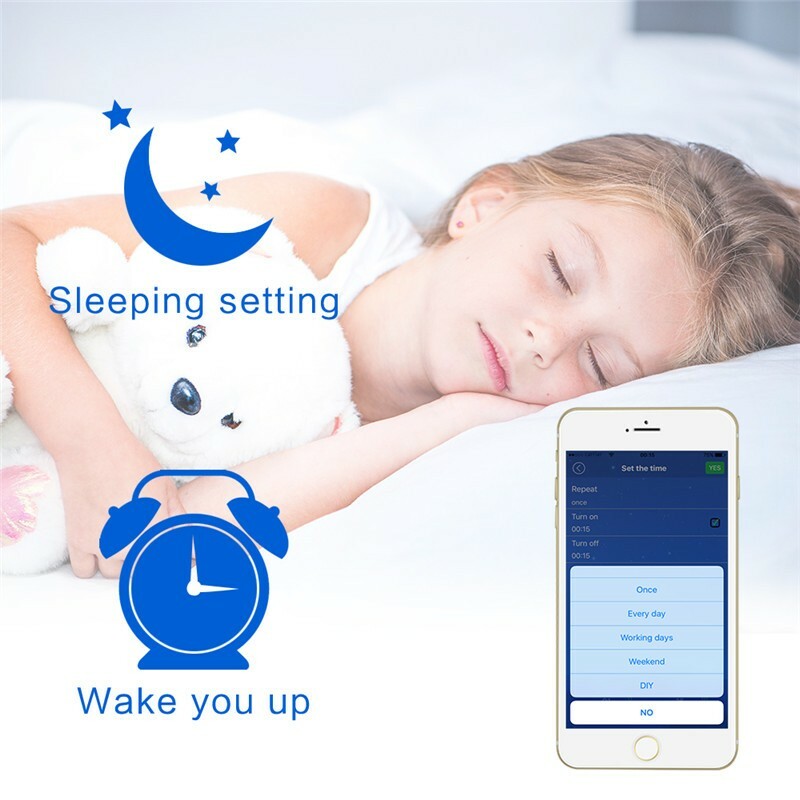 Compatible with Android and iOS smartphones, iPhones, tablets. 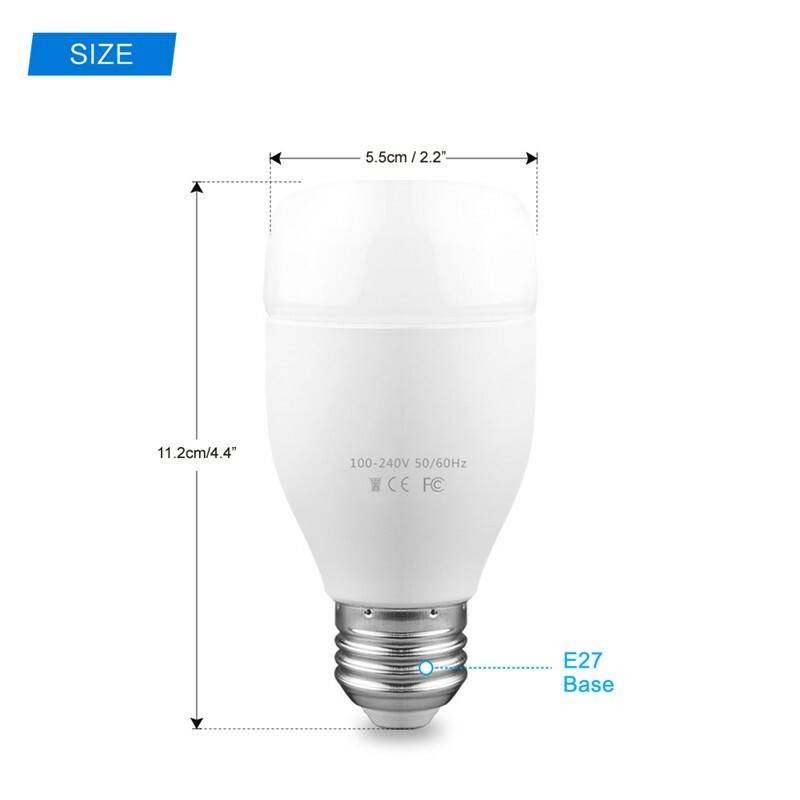 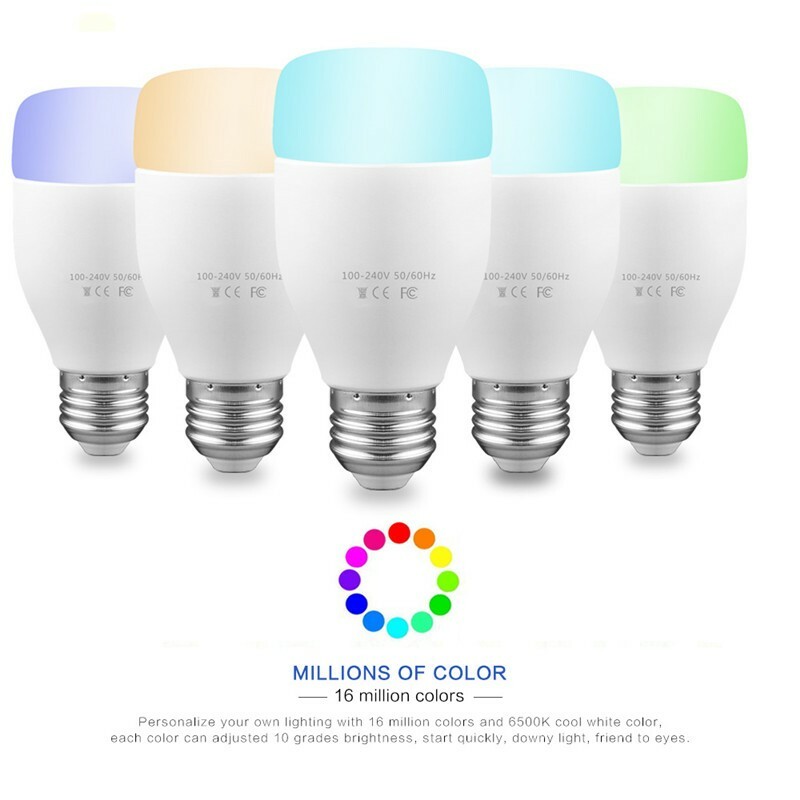 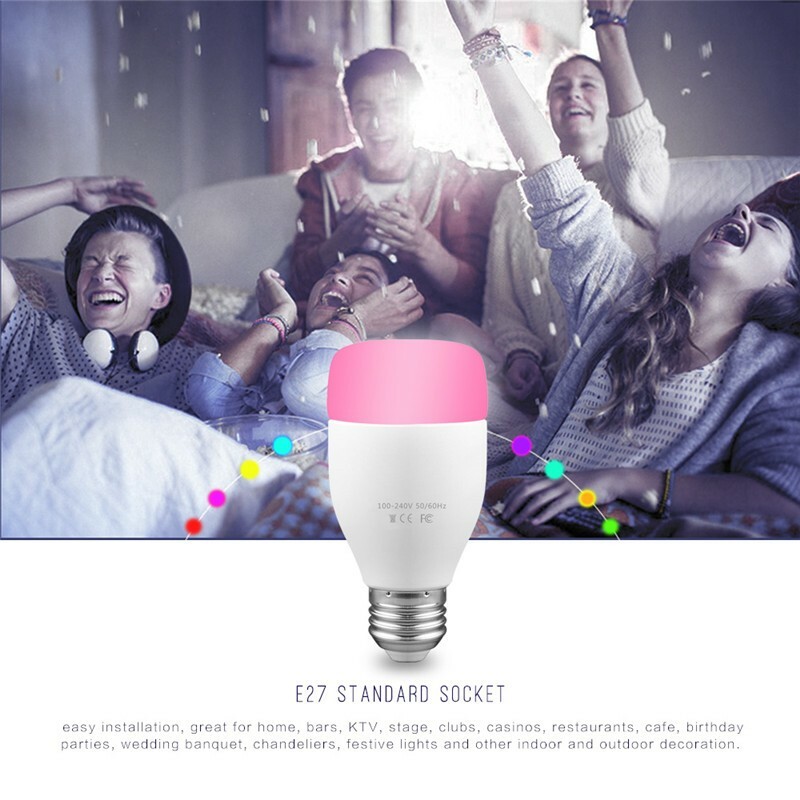 Timing & Relax/Read/Romance/Dynamic Profile: Schedule the smart bulb to turn ON / OFF at preset time or color, let your favorite color put you to sleep and wake you up, very good for kids growing up. 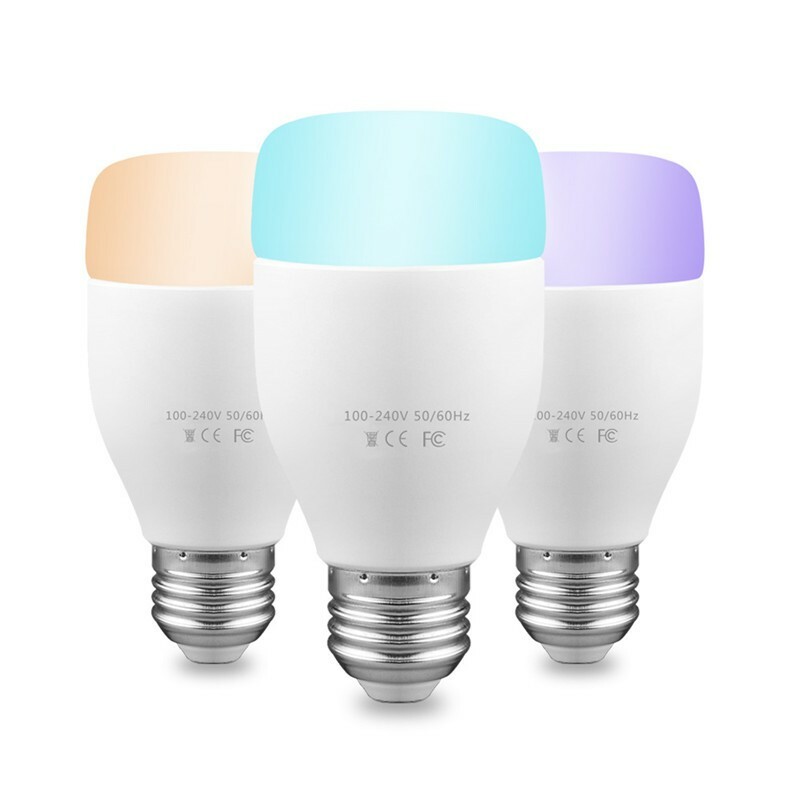 Also, it is built-in several profiles: Relax--show pink light, Read--show warm yellow light, Romance--show lavender light, Dynamic--various light display alternately. 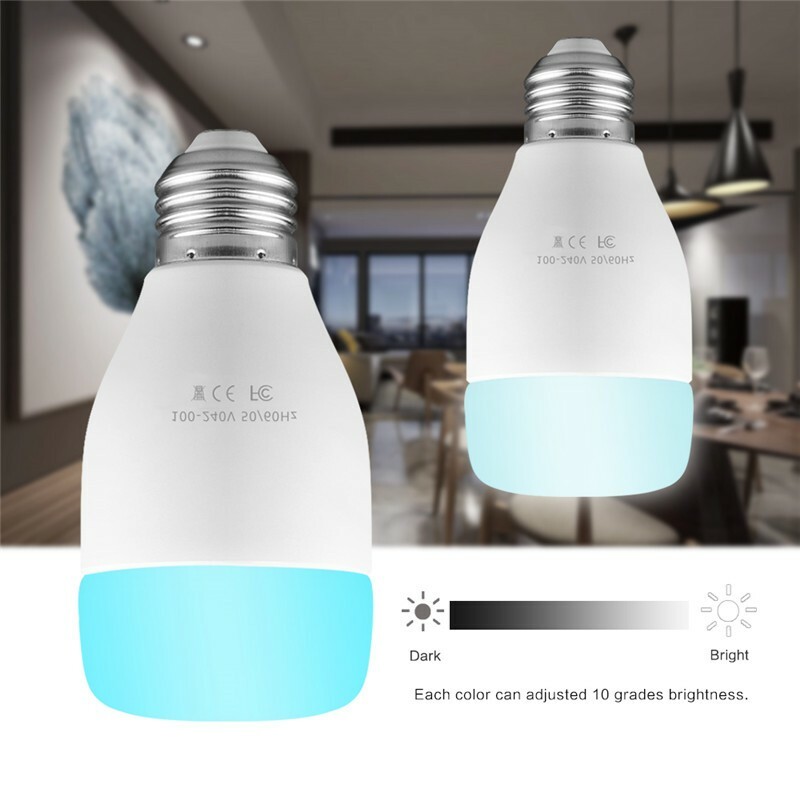 Support Group Function & Safe: One bulb can be controlled by Max. 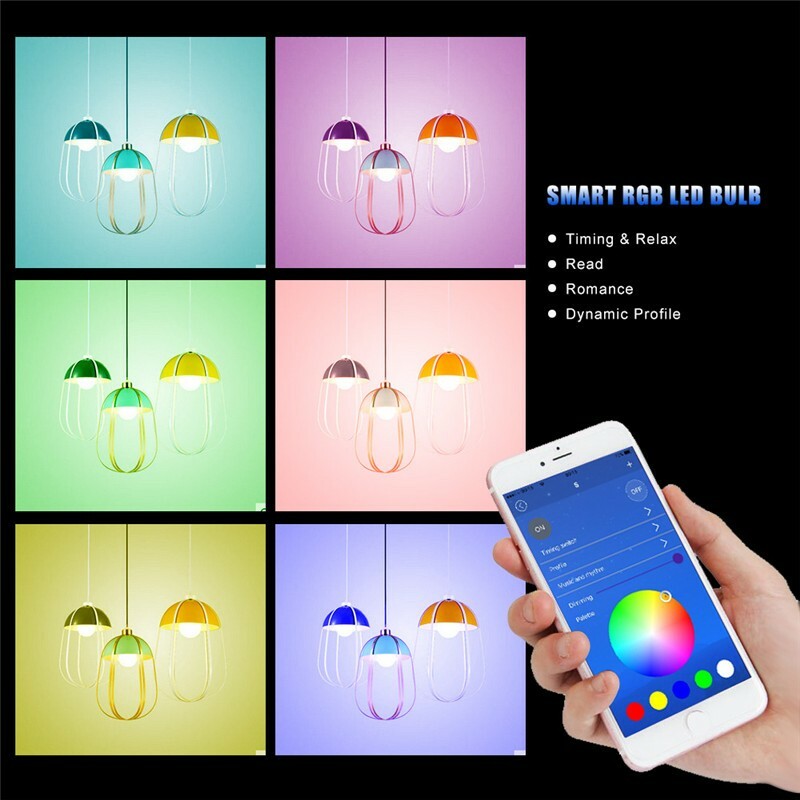 20 phones and one phone can control more than 100 bulbs. 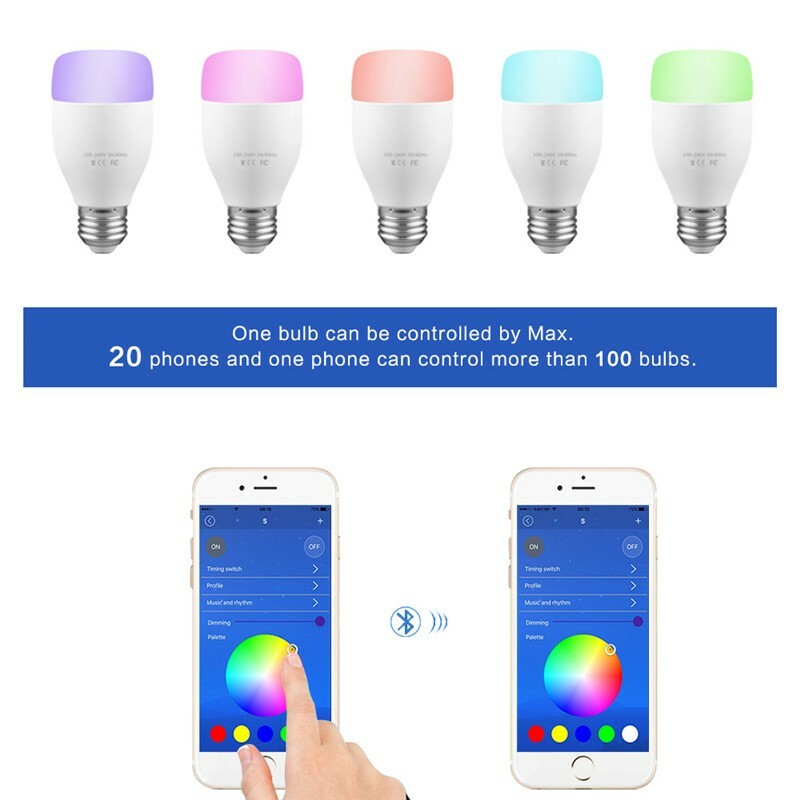 App control has the function of authority management, unauthorized users can not be search or control the bulb. 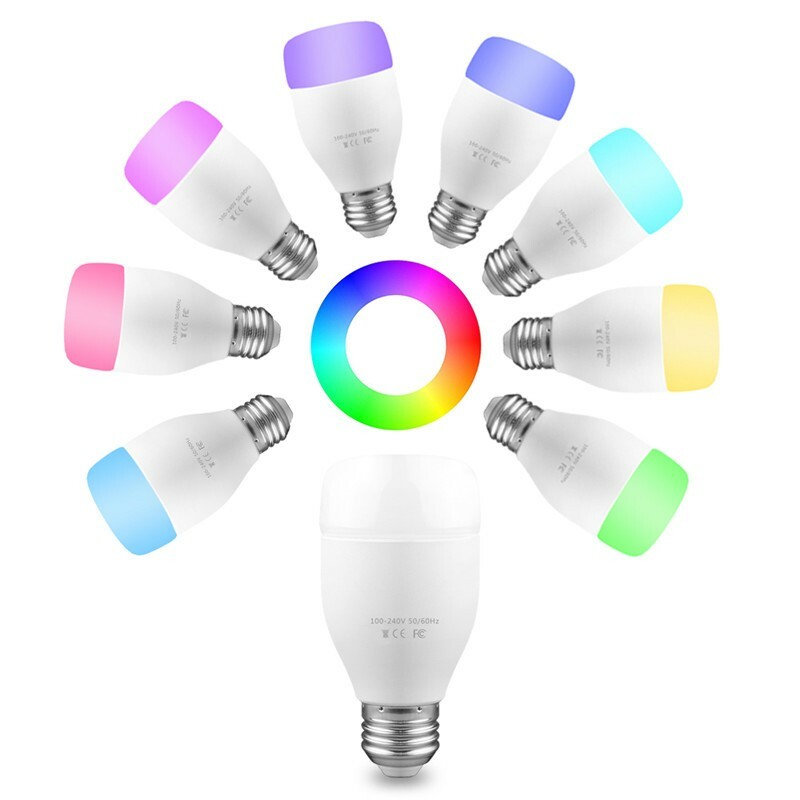 Fashion and simple design, built-in pure aluminum alloy heat dissipation structure, good heat dissipation effect. 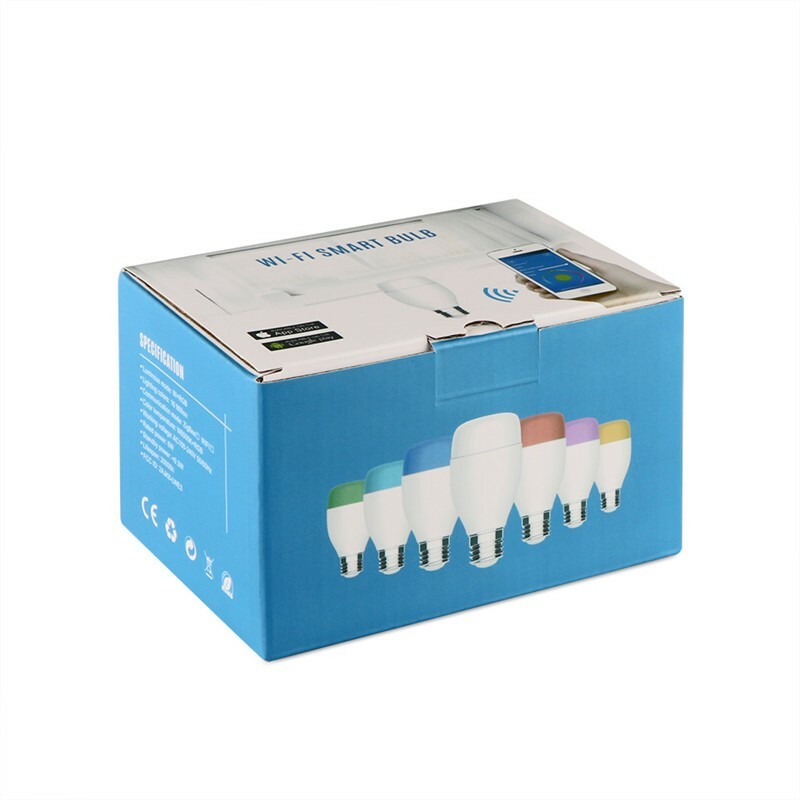 E27 standard socket, easy installation, great for home, bars, KTV, stage, clubs, casinos, restaurants, cafe, birthday parties, wedding banquet, chandeliers, festive lights and other indoor and outdoor decoration.